Haymes Paints has developed a water-based trim product that delivers a true enamel finish called Elite Trim Rapid. Utilising clever state-of-the-art technology Elite Trim Rapid is able to maintain performance characteristics just as traditional turps-based enamels would, whilst being water-based, quick drying and having a low VOC, providing a high gloss finish with no compromise on discolouration and odours. 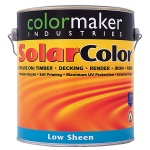 Gone are the days of two coats of water-based trim high-gloss products required to achieve an acceptable high gloss finish. Elite Trim Rapid by Haymes can be applied just once over a suitably applied undercoat and achieve a flawless high gloss finish, all within a day’s work. 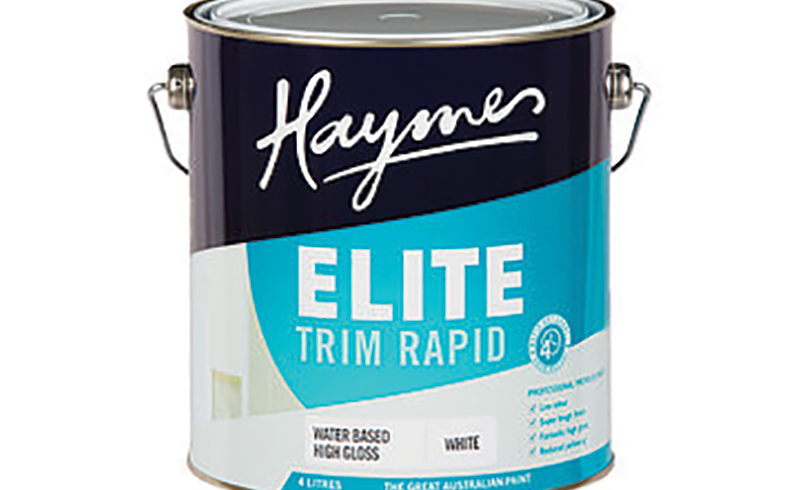 Haymes Paints claim that their new Elite Trim Rapid product is comparable to that of solvent-based enamel. 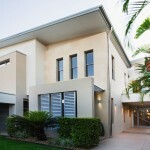 It is touch-dry in just two hours and can be recoated after four hours allowing for same day project completion. Its rapid drying properties also minimize dust collection during the drying process ensuring a higher quality result. Elite Trim Rapid is a low odour-emitting product, containing less than 8g/litre of VOC. Without emitting fumes or odours, it is ideal for renovation-projects in hospitals, schools, offices and non-offensive hard-wearing trim-paint locations. Containing special resin technology, Elite Trim Rapid yields an impressive coating strength as well as improved flow and levelling properties for a perfect finish. Sizes range from 4 litres to 10 litres; available in white bases; and priced at $84.95 for a 4-litre tin.